In order to attend a regatta you must have attended at least one practice, bring $5 with you to practice prior to departure, and be registered on college sailing. Deadline is two weeks before departure (posted below). 1. The individual must be a full-time student at the college or university. 2. The student is limited to eight seasons of eligibility within a five-year period. 3. The student shall not have received a bachelor's degree. Furthor questions regarding eligibilty can be answered by the ICSA Eligibility Guide or by your Club Commodor (Vice President) at practice. Unfortunately, we have not yet received the regatta schedule. Check under the events tab to see our upcoming community service events and to download a full monthly calendar with practice days, regattas, and other events. 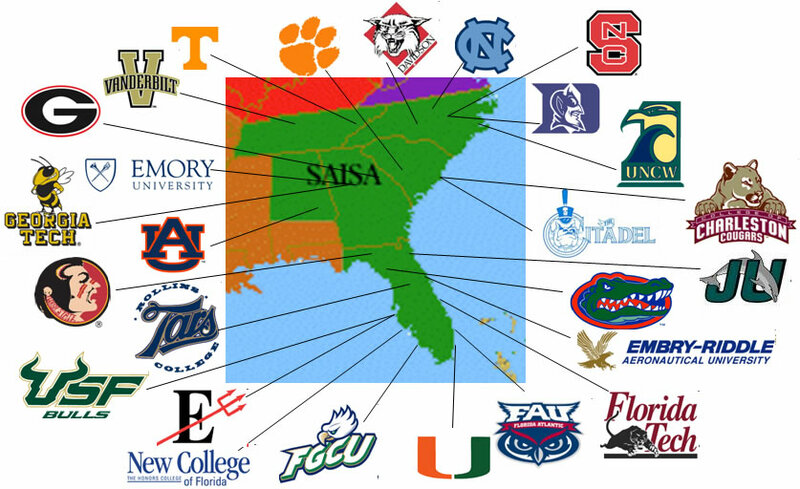 The FGCU Sailing Team is a proud member of the South Atlantic Intercollegiate Sailing Association.